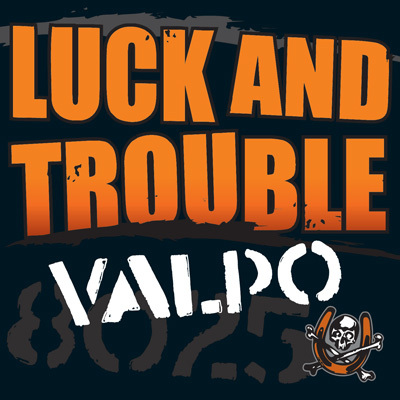 Luck and Trouble. Everybody gets dealt their fair share of both. Brian Blush and Bob Monteleone have taken their stories about how these two concepts have shaped their lives and crafted them into songs for the spirit and tales to be shared amongst good friends over a few celebratory libations. Brian Blush, a Detroit native who has spent the last decade playing guitar and writing songs with bands from Tempe, AZ, Portland, OR and Los Angeles, CA, brings his love of storytelling and big “can’t shake em’ out of your head” guitar riffs to the table. Luck and Trouble. Everybody gets dealt their fair share of both. Brian Blush and Bob Monteleone have taken their stories about how these two concepts have shaped their lives and crafted them into songs for the spirit and tales to be shared amongst good friends over a few celebratory libations. Brian Blush, a Detroit native who has spent the last decade playing guitar and writing songs with bands from Tempe, AZ, Portland, OR and Los Angeles, CA, brings his love of storytelling and big “can’t shake em’ out of your head” guitar riffs to the table. Blush’s career highlights include being a founding member/lead guitarist/songwriter for Mercury recording artist, “The Refreshments”. He co-wrote the hit singles “Banditos”, “Down Together” and “Mekong” for the Refreshments. He also had the good fortune to have met Mike Judge (creator of “Beavis and Butthead” and “King Of The Hill”). Upon their meeting, Judge commissioned Blush and the Refreshments to write the theme song for Fox Television’s “King Of The Hill”. After the disbanding of the Refreshments in late 1998 Blush struggled with life spending time battling substance abuse and depression. His lowest point found him serving a six month jail sentence for a narcotic possession charge. 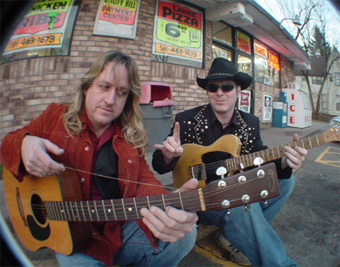 Blush’s fortunes changed for the better when he was introduced to Bob Monteleone, a legendary Detroit guitar slinger/songwriter. Monteleone has spent his career playing with such Detroit luminaries as the reggae band Black Market, rock radio staple The Look, as well as lethal blues/rock outfit Electric Mud. Bob’s virtuosity of the guitar also led him to help create the trippy psychedelic rock of college radio fave, Scuba la Boobala. Bob’s love of original Detroit music led him to create his own studio (Nothing Fancy Studios, Utica, MI) where he captures the songwriting of many the area’s up and coming artists. In the winter of 2002, Monteleone launched his own record label, Hanzie Records, which will feature many of the acts he has discovered. 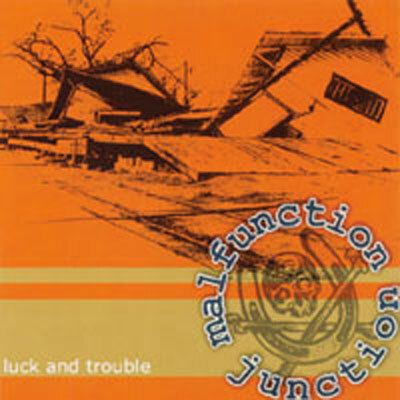 Hanzie Records will continue to create both compilation discs of various artists as well as “feature band” full length recordings such as Luck and Trouble’s “Malfunction Junction” and “VALPO”. So “luck” has brought these two kindred spirits together. Now they are ready to start making some “trouble”.